Los Angeles, CA (July 13, 2016) – Legendary Digital Networks will once again head down to San Diego for a 4-day takeover of Petco Park for a third year for Camp Conival: a trip back in time to everything that you loved about summer camp. Headlined by Nerdist and Geek & Sundry, programming highlights include panels and interviews with some of the biggest names in entertainment. Confirmed talent stopping by Camp Conival include: Luc Besson (Valerian and the City of a Thousand Planets), Misha Collins, Cara Delevigne (Valerian), Bryan Fuller (American Gods), Josh Holloway (Colony), Robert Kirkman (Outcast), Leonard Maltin (Maltin on Movies Podcast), Ian McShane (American Gods), Adam Savage, the cast of Marvel’s Agents of SHIELD, Ash vs Evil Dead, MST3K, and many more! Nerdist and Geek & Sundry will kick things off on Thursday night as the official hosts of the Lionsgate Party in celebration of the upcoming POWER RANGERS movie. This invite-only VIP event will take place at Petco Park. 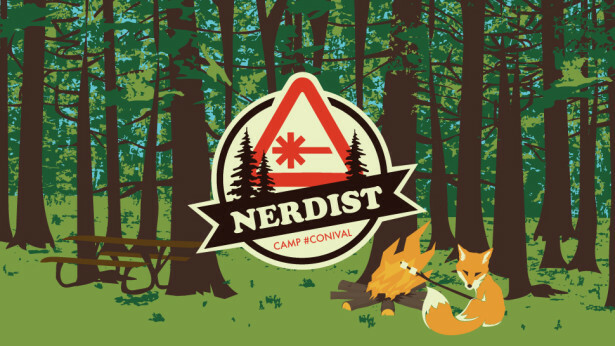 For the most up to date schedule of Nerdist and Geek & Sundry Camp Conival activities and news, please stay tuned to www.nerdist.comand www.geekandsundry.com and follow us on Twitter @nerdist and @geekandsundry #conival. *Please note that the Main Stage and Meadows Stage are located on the second floor concourse at Petco Park. Guest lineup is subject to change.